Take aim and practice for the big hunt with this fun, inflatable 3D Bear target that stands 64" tall! Includes a Velcro™ patch to catch the projectile dart tips (included with the NXT crossbows and sold separately). 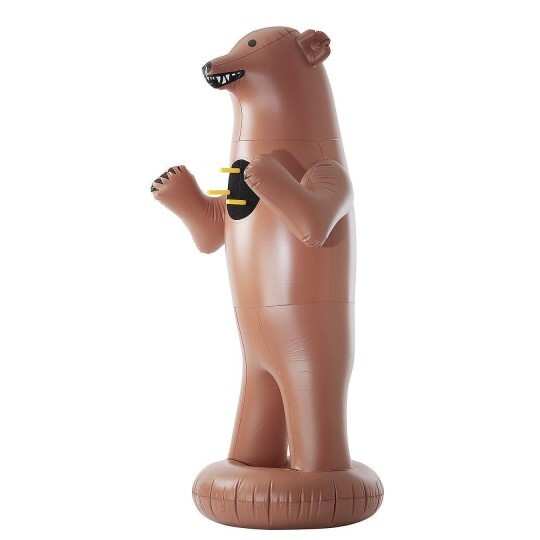 This giant growling grizzly is sure to be a hit with the sportsmen in your group and/or your campers. Spread several around at different distances to create an indoor or outdoor 3D archery shoot that's fun for all!